A B.C. filmmaker shouted down the province's cultural development minister Thursday as he announced new funding some in the film industry say won't help. 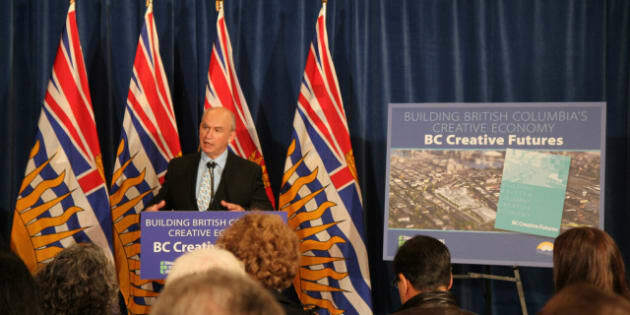 Community, Sport and Cultural Development Minister Bill Bennett announced $6.25 million in funding for BC Creative Futures, a three-part plan aimed at strengthening the province's creative sector. The plan includes a $1 million after-school sports and arts program, a $1 million Co-op Placement Program and a $750,000 scholarship program. Bennett was soon interrupted by filmmaker Patrick Stark, who said the plan "won't save 25,000 jobs" for the film industry, Metro reported. Stark told the Vancouver Sun that funding creative programs won't work if film productions are moving to provinces like Ontario and Quebec, which some in the industry say enjoy more favourable tax credits. "I'm all about education and the arts but you are going to create a lot of diplomas and degrees and these kids are come out of school with no jobs," he told the newspaper. NDP arts critic Spencer Chandra Herbert told Metro that the government's plan was nothing new and wouldn't result in any change for the arts sector.